The shop with everything bee. 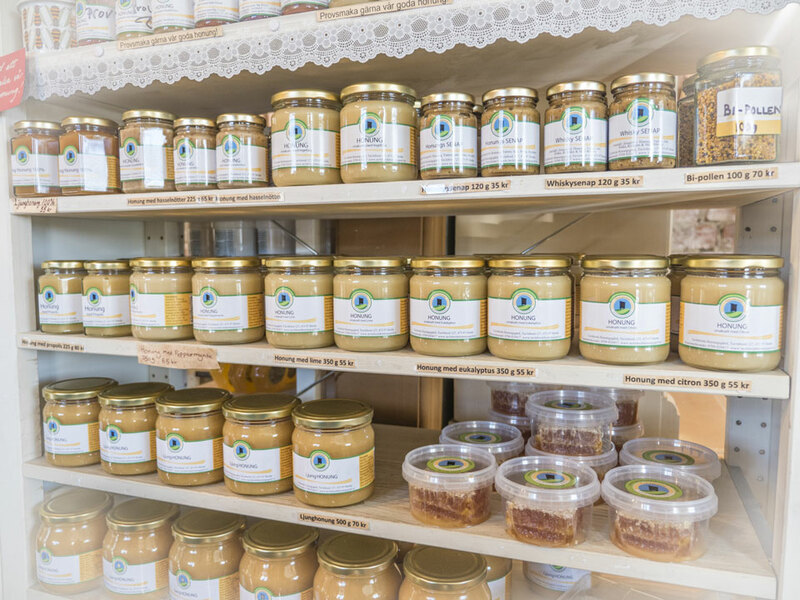 Here you can choose among local, Organic and Fairtrade products. Honey, bee wax candles, cosmetic skincare and healthcare, organic treats, gifts etc. Honey for every taste – find your own favourite! Our beekeeper, Helge practise gentle beekeeping which means that he takes care of the bees in an ecological manner. Our bees are placed on different sights around Orust. 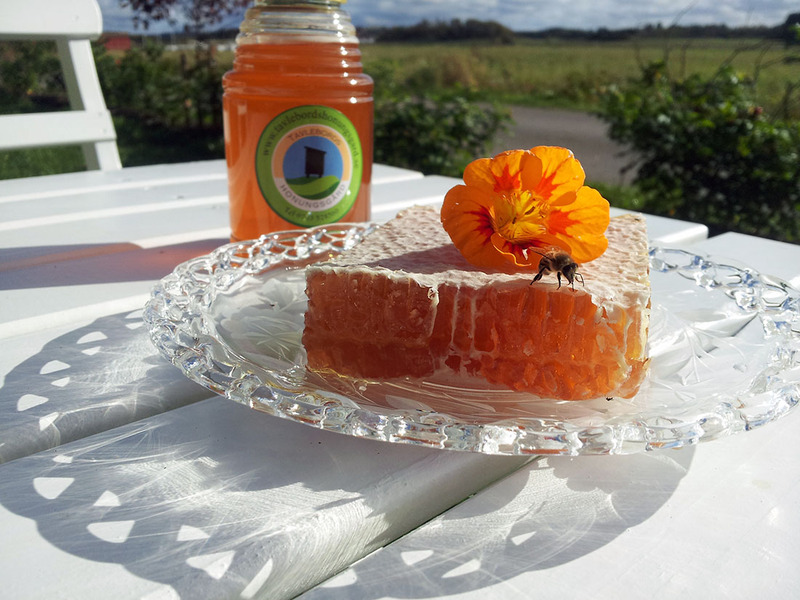 Our honey will be Certified Organic from the harvest of 2016. We take no shortcuts. We bake from natural organic ingredients and flour from the local mill. All our bread is made from sourdough and gets to rise slowly. Bread from our bakery is sold only on Easter, the harvest celebration in September and the last weekend before Christmas. Please try our own organic Müsli and our health and delicious seed crackers! You will find skin- and haircare products with propolis, bee wax and honey; shampoo, conditioner, lotion and fragrant soaps. Honey sweets without artificial colouring or preserves, Raw food bars, Fairtrade chocolate, organic candy etc. 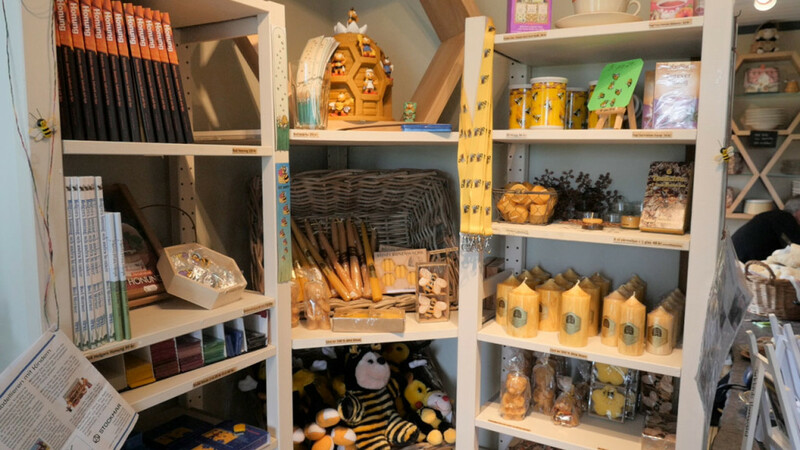 Play wax, bee wax crayons, wax candles, children books about beekeeping, cookbook with Honey, and many more beautiful and funny bee things and gifts to choose from.